Sea Buckthorn might sound like it's the name of a strange sea creature, but this plant is actually a potent source of amazing vitamins and minerals for your skin, so I've put together this guide to the best natural Sea Buckthorn skin care for both face and body. 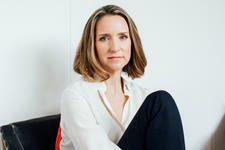 Have you heard of Sea Buckthorn? It sounds like some kind of coral or maybe a sea creature, but it's actually a plant that has been used for centuries in everything from medicine to natural skin care. Sea Buckthorn Oil, made from the seeds or berries of the plant, is packed with vitamins, antioxidants and amazing fatty acids, and today, you'll find it in a range of natural skin care and beauty products for both the face and body. The berries from the Sea Buckthorn plant actually contain up to a whopping 12 times the amount of Vitamin C in Oranges! 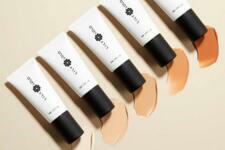 This makes it great for brightening the skin and evening out any pigmentation or age spots. Sea Buckthorn contains over 20 minerals and 60 antioxidants, 3 times more Vitamin A than Carrots and a potent amount of Vitamin E too. In case that wasn't enough goodness packed into the one ingredient, Sea Buckthorn also contains fatty acids and Omegas 3, 6, 9 and 7. Thanks to all those vitamins and minerals, Sea Buckthorn can promote the overall health of the skin by boosting elasticity, hydration and inflammation, as well as fighting acne-causing bacteria. Read more in my blog on the benefits of Vitamin C for skin. One of my personal favourites, the Life Basics CoQ10 Daily Facial Oil is one of my most frequently used skin care products as it harnesses the powers of all those vitamins and minerals that are packed into Sea Buckthorn in conjunction with other potent ingredients such as Jojoba, Vitamin C and CoQ10 to keep your skin looking and feeling deeply hydrated. This nourishing oil works to maintain the overall health of the skin by sinking straight in and delivering a boost of nutrients and may help reduce signs of ageing such as scarring and pigmentation. It's all my favourite vitamins and oils in one bottle and it's perfect for mature skin, plus it's silky smooth, lightweight and non-greasy. 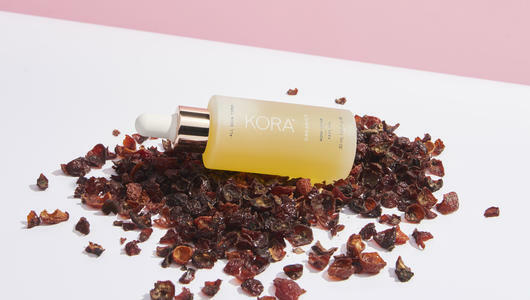 Another of my favourite Sea Buckthorn facial skin care products is the KORA Organics Noni Glow Face Oil. This deliciously juicy facial oil combines Sea Buckthorn with Noni Extract, Rosehip Oil and Pomegranate Oil to create a rich source of essential fatty acids and powerful antioxidants which really does give a beautiful 'glow' to the face. 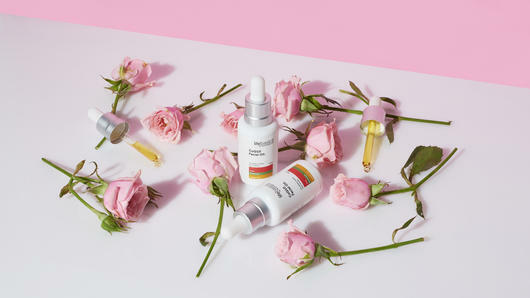 Ideal for all skin types, use 2-3 drops daily to help protect, smooth and brighten the complexion. 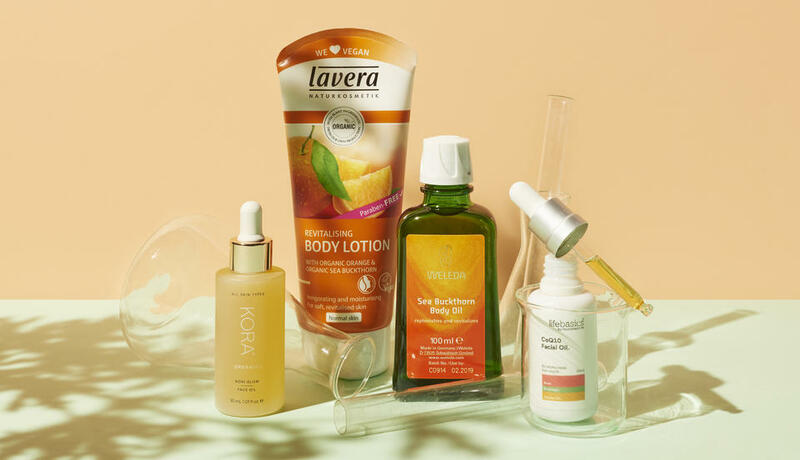 For the body, I love the Lavera Revitalising Body Lotion - Organic Orange & Sea Buckthorn, which is designed to reinvigorate and revitalise dull and dry skin. Perfect for slathering all over your arms and legs, this milky body lotion combines Sea Buckthorn with Orange for a skin loving Vitamin C hit, packing moisture into the skin, keeping it looking hydrated and youthful, and leaving it smelling fresh with a light, fruity scent. 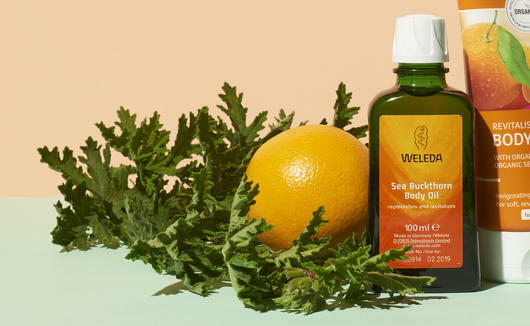 Another favourite is the Weleda Sea Buckthorn Body Oil, which uses potent Sea Buckthorn Oil in a base of lightweight Sesame Oil to help add a golden glow to the body. With a light scent from a fragrant essential oil blend, t's also been shown to provide 25% less rough skin after 28 days. Smoothing and luxurious, it can be massaged into damp skin after bathing to keep your body soft and supple. Creamy and ultra gentle on skin, the Weleda Sea Buckthorn Creamy Body Wash, effectively cleanses the skin without stripping its natural oils. Fresh and fruity, this daily body wash contains Sea Buckthorn, Sesame, Orange and Grapefruit Oils to help melt away the day's dirt and grime and leave your skin smelling clean and delicious. Vegan and low-foaming, this Certified Natural formula is ideal for all skin types, including sensitive skin. 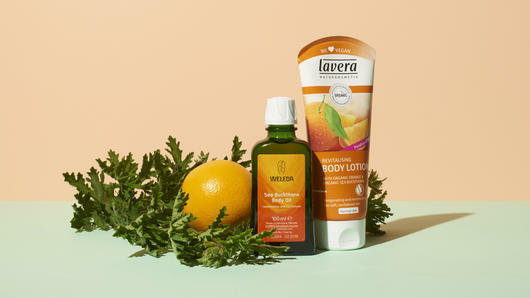 Not everyone loves a deodorant paste, so for a fresh deodorant spray alternative the Lavera Spray Deodorant with Organic Orange & Organic Sea Buckthorn is an ideal option as it uses the hydrating and anti-inflammatory properties of Sea Buckthorn, Green Tea and Witch Hazel to keep the underarms feeling calm and soothed while also helping to neutralise body odour for up to 24 hours. Another great product to keep in your handbag or on your desk is the Pai Fragonia & Sea Buckthorn Hand Cream. This reparative formula contains nourishing ingredients including Sea Buckthorn, Avocado Oil, Macadamia Oil and Shea Butter to deeply moisturise skin with essential fatty acids and encourage cell renewal for softer, smoother hands. Vegan and Gluten Free, this formula is fast-drying and non-greasy, making it incredible for dry and overworked hands.